I first heard about the Jerome Fisher Program in Management and Technology in a Penn admissions brochure. Intrigued by the business-and-engineering combination presented by M&T, which matched my passions growing up, I dug deeper and loved what I discovered. M&T took the top spot on my list of college opportunities for three important reasons. First, M&T is one of the only college programs out there that specifically tailors a four-year curriculum for students enthusiastic about both business and engineering. I highly enjoy my classes, which challenge both sides of my brain on a daily basis and open various routes for me to explore academically, professionally, and socially. Second, the extensive network of students and alumni is invaluable. When I first visited Penn, every person I met was incredibly friendly, warm, and down-to-earth. M&Ts and Penn students in general are always available to give supportive advice and lend a helping hand; we will inevitably become your study partners, mentors, and friends. Third, Penn offers a traditional college setting that thrives within the lively city of Philadelphia. There is always something to do on Penn’s campus, from watching a performing arts show to cheering on your favorite sports team to simply lounging on the grass with friends in the Quad. Downtown Philly is also just a short ten-minute trolley ride or thirty-minute walk away. Embark on a brisk morning run along the Schuykill River or leisurely stroll through the galleries of the Barnes Museum. Spend the day visiting historical spots in the Old City neighborhood or dine at any of the numerous restaurants in the city. No matter where you explore, you will no doubt have a refreshing discovery each time. My transition from high school to college, West Coast to the East Coast, teenager to adult was incredibly smooth. The move can seem overwhelming initially: you’re surrounded by people just as brilliant as you, live in a completely new environment, and have different academic expectations. It may sound cliché, but you are chosen to join the M&T community for a reason: everything you’ve done up until now clearly demonstrates that you are ready for the challenge. Penn truly has something for everyone and offers all the resources you need to quickly find your niche. I’ve had exciting experiences in the classroom, including a hands-on innovation crash course in developing a physical product from start to finish (Product Design) and a shadowing program in which I designed a medical device prototype model for practicing physicians (Clinical Preceptorship in Bioengineering). Outside of academics, I found a welcoming community with professional, philanthropic, and social outlets within the Society of Women Engineers and embraced my love of food through Penn Appétit and Penn Gastronomy. All of my classes and extracurricular activities fill me with a sense of purpose and confirm that M&T is one of the best decisions I made. I highly encourage you to consider M&T too! 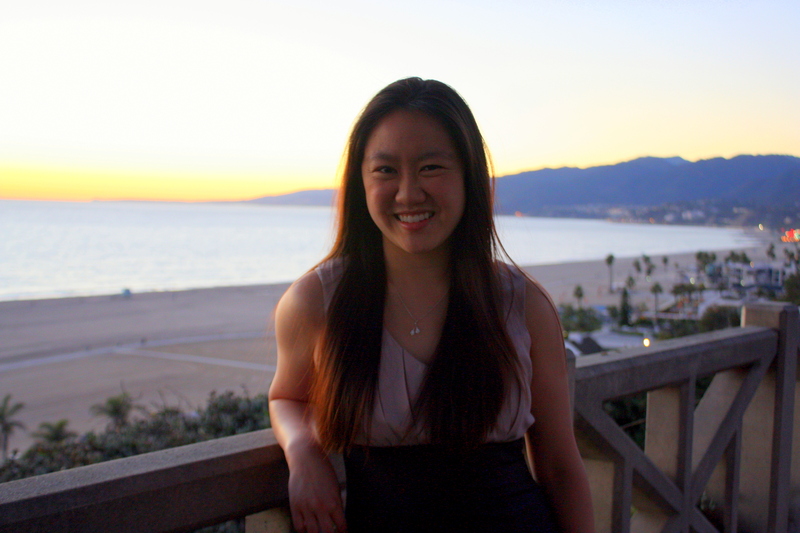 Nicole is a current M&T junior in the Class of 2014 from Santa Monica, CA. She studies Bioengineering within Penn Engineering and Management and Entrepreneurship in the Wharton School.